Dex Romweber has spent his career exploring the weird back alleys of American music, with the ’80s psychobilly twosome Flat Duo Jets, as head of the Dex Romweber Duo and on the occasional solo album, including his latest. But Romweber digs much deeper here. With a wash of trebly guitar and resonant, doomsayer vocals, he injects gospel great Mahalia Jackson’s “Trouble of the World” with an even spookier air. He turns the Rodgers & Hart standard “My Funny Valentine” into a jaunty surf-style instrumental carried by organ, with breaks for descending guitar lines that shudder down the fretboard. Accompanied only by piano, Romweber’s version of “Smile” is more subdued than the orchestral Nat King Cole rendition (Charlie Chaplin wrote the music for his 1936 movie Modern Times, and John Turner and Geoffrey Parsons added lyrics in 1954). And Romweber offers a jumped-up, Dex-ified take on the barroom weeper “I Don’t Know” from the 2009 movie Crazy Heart that makes the song sound like Romweber nicked it from a 1950s jukebox. 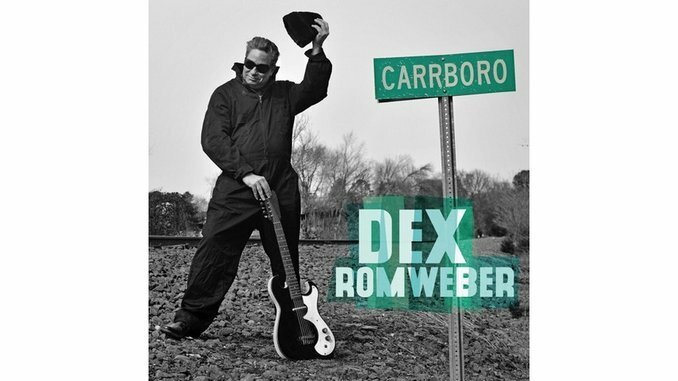 Though he’s known (to the extent he’s known at all) for rockabilly workouts and seat-of-his-pants guitar playing, Romweber demonstrates on Carrboro that he has wide-ranging taste, and a matching ability to make almost any song into a perfect fit.